Cables are used in every household, industries, electrical appliances. The current carrying copper wires are insulated by PVC, rubber or another insulating material. This insulating material decides the life of the cable. Cables with worn out insulation cannot be used. A single insulation cut/failure requires that the entire cable to be replaced. However, replacing cable is a very expensive affair. Replacing cable also leads to downtime in production. Thus we suggest the use of ZWECK tape as the permanent solution for cable repair. 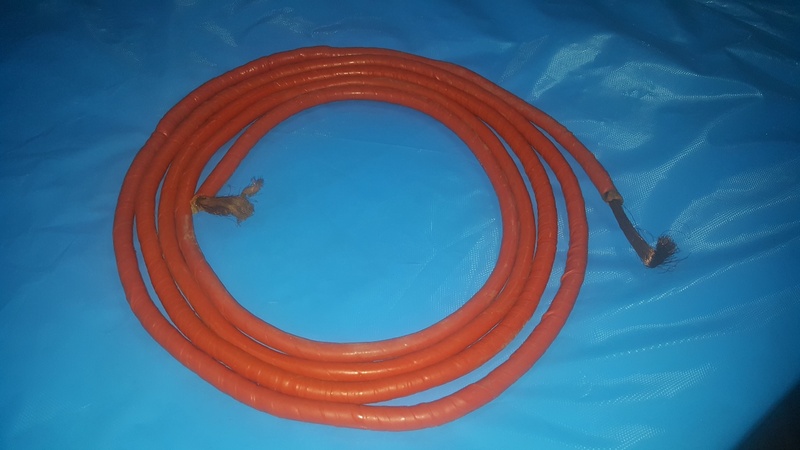 Below is the image of highly damaged industrial welding equipment cable wire. As visible from the image the cable is worn out at multiple places. We can use Zwecktape and wrap it over the work out region or over the entire cable.